For Online Ordering Please go to GRubhub or EAT24. Thank You. Welcome to Ted's Market! We look forward to meeting you, feeding you, and sharing lively conversations. We are a classic mom and pop shop located in the South of Market District (SoMa). 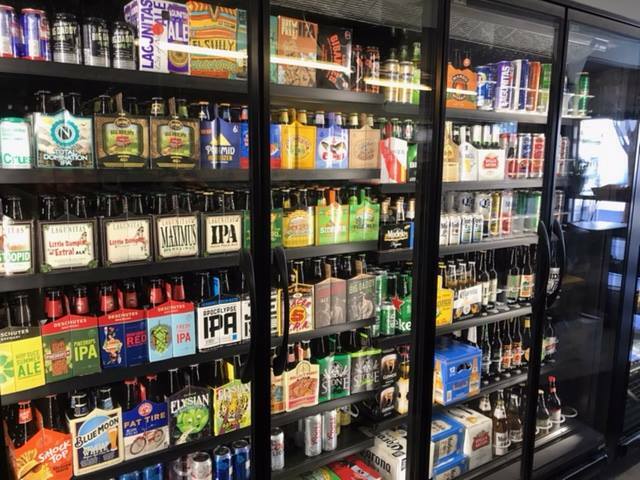 We have a full delicatessen, catering company and market including a wide selection of beer, wine and liquor. We also have a large selection of "to go" foods prepared fresh daily for your convenience. We offer fresh ground and brewed coffee all day, pastries, gourmet cookies, and more. We try to provide something for everyone, so in addition to our fresh roast meats, we have a unique variety of vegetarian and vegan items. Theodore and Penelope (Ted & Penny) created Ted's Market and Deli in July of 1967. Continuing the vibrant spirit in which Ted’s Market was started, our store is a meeting place. Penny, better known as Yaiya (Grandma in Greek) who is 92, seldom misses her weekly visits. Elegant, funny, witty, and dressed like a Queen, Penny cherishes visiting and reminiscing with long time and new customers--some second and third generation patrons. We all truly miss the Big Ted, or Papou (Grandpa in Greek) and his giving and loving nature. We are lucky to see his smiling face in our Ted's logo and in our hearts, and work diligently with the principles he passed on. People come in and talk about Big Ted all the time. Ted’s Market is a place where people share stories. Come in and then dine out--we are take out only. We are open 7 days/week but do not offer catering services on Saturdays or Sundays. We only close on a few major holidays like Thanksgiving and Christmas. Ted's is known world-wide for it's excellent sandwiches, and now we have great secret sauces to add to our many toppings. We use only fresh and quality ingredients, have daily roasted meats, and prepare recipes from scratch. We have an extensive breakfast menu as well, from hot breakfast sandwiches to pastries and our specialty Greek yogurt parfait, so start your day with us! 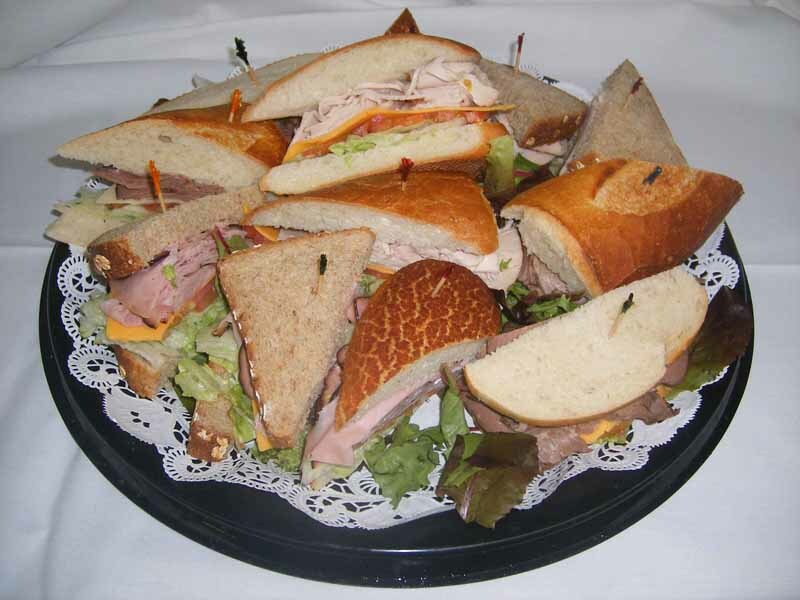 We are known as the rock 'n' roll caterer, making sandwiches for stage crews and famous bands alike for the last 30 years. Our red apples will be found at San Francisco’s famous Fillmore Auditorium. And to leave you with a bit of musical wisdom from the late singer/songwriter Warren Zevon, "Enjoy every sandwich!" For Online Ordering, Please go to EAT24 or Gubhub. Thank you. between 11th and Lafayette St.
We will be closed December 25th and January 1st. Please go to EAT24 for online ordering. Thank you. We only deliver within the San Francisco city limits, however if you want to pick up your order we'll be happy to have it ready with a smile. Fax the catering worksheet when you are ready to order. Please allow a minimum of 48 hours notice for all catering events. Add .25 cents per person for utensils, plates, and cups for catering orders, and please give us notice if you will need these items included in your order. between 11th St. & Lafayette St.